Home/Blog/ Marketing, Strategy, Video, Video Production/How to Get the Most from Animated Youtube Commercials! How to Get the Most from Animated Youtube Commercials! Are you ready to build impressively creative worlds and situations, and to craft a video that fits exactly what you imagine for your brand? In that case, animated commercials are for you! Here at Yum Yum Videos we’ve made a few of these, so we know how powerful they are… and today we’ll share it with you. Animated videos are incredibly engaging and memorable — which is exactly what every brand is looking for with their commercials. Also, they rank very high on YouTube! It’s the kind of content that people like to watch. Keep reading to know why! We’re the greatest defenders of animated videos over live-action videos (it’s not like there’s a lot to defend… everybody knows that animated videos are cooler). But that’s just us. Why would you choose animated videos? First, the pricing. You’d think that an animated commercial would be more expensive than a regular, live action one, but this is not the case! In fact, a professional animated video shouldn’t cost more than USD 20,000 (even less, depending on the style that you’re looking for). On the other hand, a high-quality live action video can cost as high as USD 100,000 (unless you’re filming from your cell phone… but that doesn’t count as ‘high-quality’ at all). Animated videos have another great advantage — there is absolutely no limit to what you can do. Your main character could be a golden flying T-Rex on Mars, and nobody would think it’s strange. To create that kind of imaginative situations on a live-action video requires a lot more effort: Special FX experts, etc… and it would probably look very weird. With animation, you can create new worlds and push the boundaries of reality. And that’s super cool! Just take a look at this example: these are animated tortillas, guacamole and peppers singing a heartfelt song about Tortilla Land. Can you imagine this situation in a live action video? We certainly can’t! Also, animated characters let you personalize your content to the tiniest detail — and with marketing content, especially with commercials, customization is extremely important. You want your target audience to feel identified with the video content, and with animation you’ll be able to shape your character’s image to fit your buyer personas’. This way, your target audience will feel like you’re speaking directly to them. We could mention a hundred more advantages (as we said, we’re the greatest defenders of animated commercials! ), but let’s stop here, because there’s something else that you need to know. Why should your commercial be on YouTube? Having a presence on YouTube should be very important for your brand. For starters, it has over a billion users (one-third of all people on the Internet), and everyday, people watch millions of hours of videos on YouTube, generating an incredible number of views. It’s both a search engine and a social media platform, and it’s made only for consuming video. Given the fact that it’s so specifically made for video content, if your video is not on YouTube, it might as well be invisible. The fact that YouTube is both a search engine and a social media platform is not minor — it’s actually the second largest search engine (after Google itself), and the third largest social network. Just think about it this way: When you’re looking up how to do a certain thing, or a simple explanation for a complex topic, you won’t rely on Google to do so. 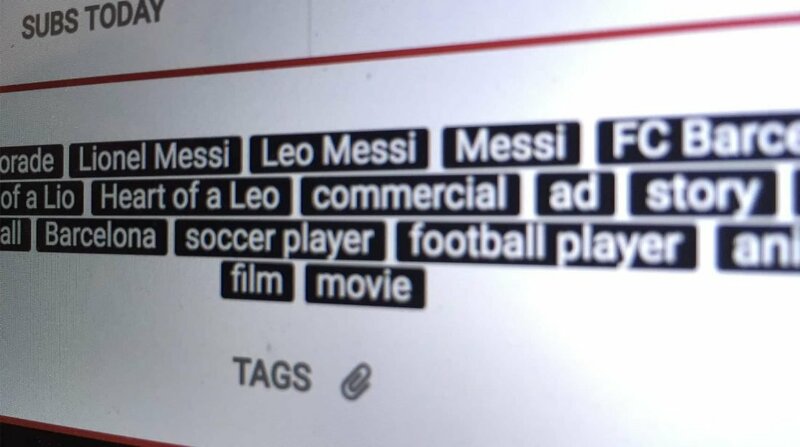 You could (given the fact that YouTube videos also rank on Google), but you know that if you search for it on YouTube, you’ll find better and more relevant content for your search. 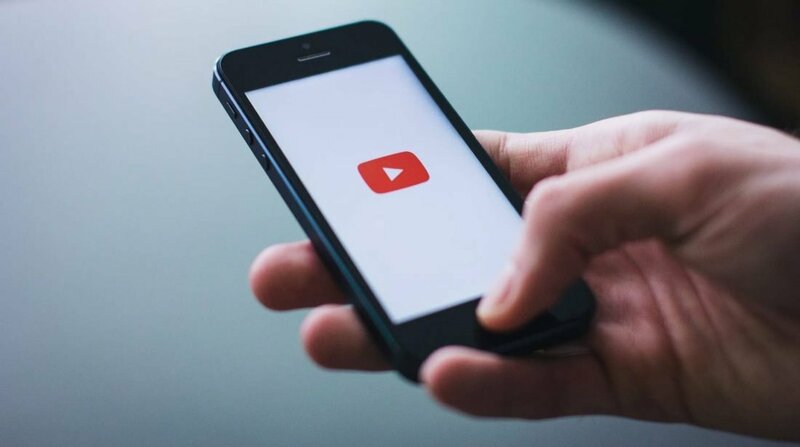 If your video is not on YouTube, you’ll be missing of hundreds of thousands of views — and all of these viewers translate into a great opportunity to boost engagement. Don’t worry, it’s not that hard to rank #1 on YouTube using the right SEO practices. You just need to optimize it correctly, and it’ll bring your brand a lot of benefits! Audiences (especially online) like their content short. When videos last longer than one or two minutes, dropout rates start to rise. There are a lot of studies that back up the fact that people’s attention spans are getting shorter and shorter! In fact, there’s one particular study that claims that our attention spans are shorter than a goldfish’s. Worrisome? Maybe. But that means that your animated commercial should answer to that. In fact, commercials should be as short as possible and very powerful. 30 seconds is the ideal length to catch your audience’s attention all the way to the end. 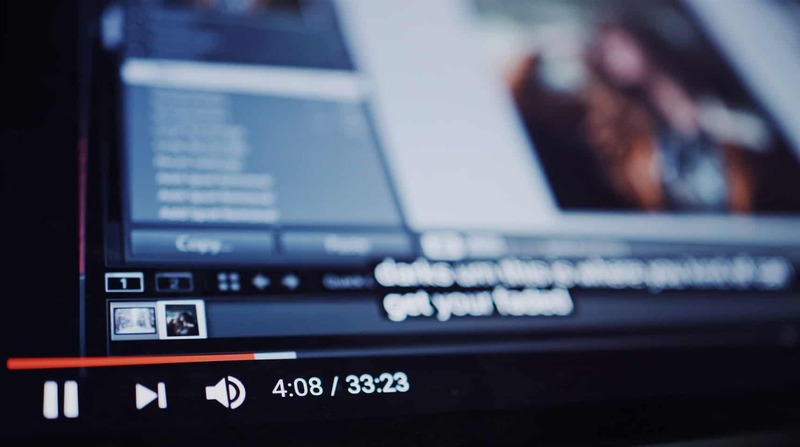 Audiences that go past the first three seconds of a video are more likely to watch them all. So, you need to catch your audience’s attention at the beginning of your commercial, or they’ll go away! Remember, you’re working with goldfish here. On Youtube, there’s the pre-roll advertising format, that is placed at the beginning of the user’s video. They are the most common way of advertising online — but there’s a catch. You only get your audience’s attention for the first five seconds, then they’ll be able to skip your commercial. What’s the challenge then? To engage your audience at the very start of the video. That way, they’ll stay happily for the rest of it. There are other kinds of ads on YouTube, like non-skippable ads (that go at the beginning of the video and last about 15-20 seconds), or bumper ads (also non-skippable, and lasting about 6 seconds tops). For these kinds of apps, your content needs to be concise and very memorable to your audience — you only have 6 seconds, and you want them to remind you! 3. Customize it to the tiniest detail! So, if you want your audience to remember your brand, you need to customize your ad to the tiniest detail. Use your brand’s colors as the main ones in your palette, include your logo and try to communicate your brand’s spirit in any way possible. Maybe your audience won’t remember your exact words — but they’ll remember your brand’s identity. A customized video will help your audience remind you later! Also, if you’ve got a jingle, use it (like in the example of Tortilla Land that we showed you before). Jingles are memorable and catchy, and they’ll help a lot with brand recognition. Another way of customizing your content is to direct it to your target audience. As we mentioned before, creating characters that look and behave like your buyer personas is a great way of engaging your audience. They’ll feel identified with and they’ll know that you’re speaking directly to them. Take a look at this example, it’s a video that we made for Habitissimo, which is a Spanish online job platform. Our target audience was Spanish families, so we created characters that fulfilled this premise and that would look like the ones that actually used the service. If we had made the video too general, our target audience wouldn’t have understood that we were speaking to them, and it wouldn’t have had any impact. Instead, because we crafted our characters as the brand’s target audience, the video gathered more than 1,000,000 views in Spain only! High-quality products need to be associated with high-quality videos. Unprofessional videos give a very poor image to any brand, and unfortunately, there are a lot of brands that decide to create videos out of templates or stock content — which eventually makes all of these brands look the same. They often do this because of their limited budget, but what they don’t understand is that video content is an investment. Marketers agree that video is the type of content with the highest ROI, which means that if you invest high, you’ll receive high compensation. However, if you decide to invest way too little on a video that won’t give you any return, then you’ll just be throwing your money away. So, our advice is to keep high standards. Aim high to get high results. Yes, we know it’s a video commercial and there probably won’t be as many people searching for it as they would be with a how-to video, or an explainer video. Nonetheless, you shouldn’t forget video SEO! Commercials can rank high on searches, and it’s important for your brand to have an organic presence too, not only a paid one. You should start by using targeted keywords (words and phrases associated with the product or service that you’re selling). Customize the thumbnail of your video too, you shouldn’t forget that it’s the first thing that your viewers look for in their searches! First impressions are important. If you’d like to know more, check out this related article: YouTube Ranking, how to rank your YouTube video! Animated commercials are engaging and memorable — they are also cheaper than live action videos… and they have so many possibilities! The sky’s the limit when you’re creating an animated video. They give you the chance to customize your content to the tiniest detail, creating characters that speak directly to your target audience and situations that communicate your brand’s spirit in creative ways. So, if your brand is investing money on advertising, our advice is to make it animated… and advertise on YouTube. With billions of everyday users, YouTube is the place to be when you’re creating a video marketing campaign.